Since 1999, many trips to West Africa have been taken, with many souls coming out of the darkness and into the marvelous light. 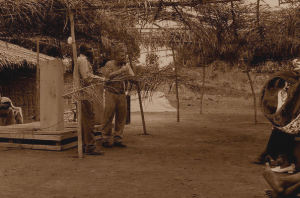 Since 1999 we have planted and established many churches in Cameroon and Ghana. God has blessed us to build 13 sanctuaries for worship, many of those in rural villages where there was no Christian influence before we arrived. We have churches among the Pygmy in the rainforest and among the Muslim saturated Northern provinces, with a good representation all across the country of Cameroon. We currently have three congregations in Ghana. 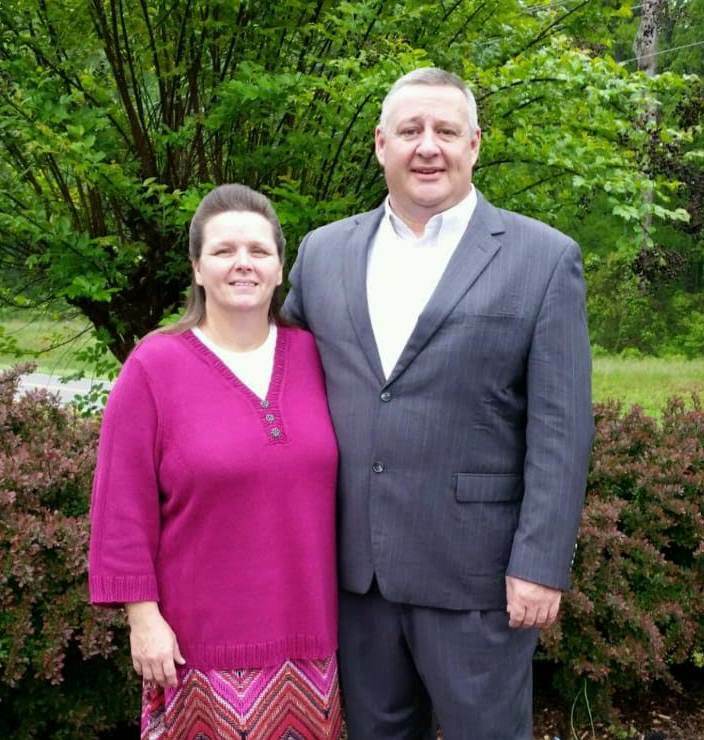 We have two full-time missionaries that we support on a monthly basis to be our field representatives. We have been blessed to put 9 fresh water wells in rural villages, providing clean drinking water for thousands that were forced to drink contaminated, dirty water. African Holiness Missions is governed by a board of directors that have proven to be a great blessing to our work in Africa. This board is made up of the following men; Curtis Teague, Kenneth Lott, Dr. Ryan Ralston, and Joe Salter. 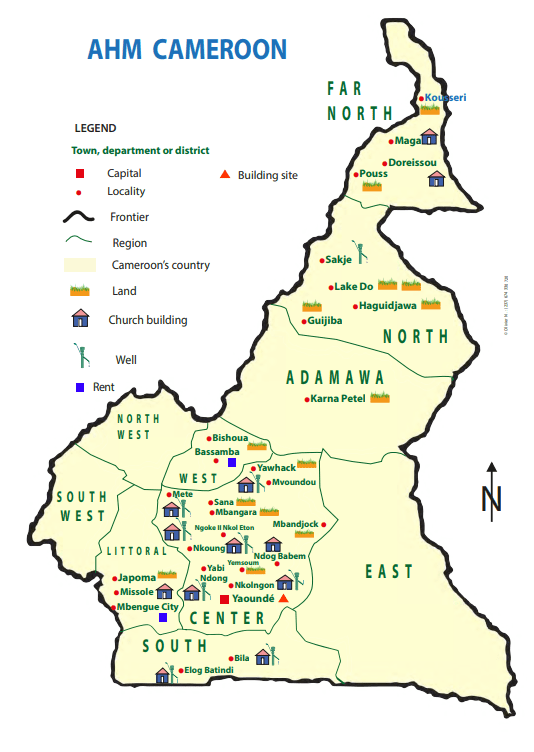 Map of Churches in Cameroon – Click to view higher resolution PDF document. This map of Cameroon is meant to display the work that AHM has done by the grace of God. On it, you can see how many churches have been planted and built, the wells that have been installed, land purchased that is awaiting church construction and so forth. Please continue to pray for our national overseer, Rev. Franklin Yebga and the family of AHM churches in Cameroon. You can subscribe for updates from us via Email. We’ll notify you when new photos are added, or if Bro. Teague has a message to share. Just enter your First name, and your email address below, then click subscribe.